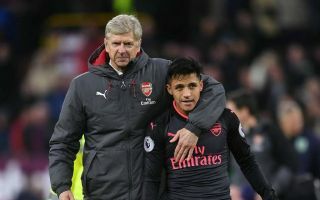 Former Arsenal manager Arsene Wenger is reported to have essentially predicted Alexis Sanchez’s struggles before he completed his transfer to Manchester United. The Chile international was a world class performer in his time with the Gunners, but has flopped spectacularly since his move to rivals United back in January. According to the Independent, however, Wenger saw this coming as he could not see how Sanchez’s strengths would be suited to the Red Devils’ playing style under Jose Mourinho. This has proven completely accurate, it seems, with Sanchez just not getting the same kind of chances he did at Arsenal in a team that seemed largely built around him. The Independent’s report also raises big questions over the 29-year-old’s fitness, with some concerns that he was already struggling towards the end of his time at Arsenal. All in all, this looks like one of United’s biggest transfer mistakes in recent years, which is saying something considering the performances of other big-name signings that flopped, such as Radamel Falcao, Angel Di Maria and Romelu Lukaku. United and Arsenal play each other on Wednesday, though Sanchez is currently out injured so won’t feature against his old club.